The Alternative Federal Budget (AFB) has some solid advice for Finance Minister Bill Morneau: there’s no time to lose in tackling climate change, growing inequality and drastically underfunded public services. Morneau will deliver his fall economic update in the coming weeks, setting the stage for the Liberal government’s 2019 pre-election federal budget. Business groups are pressing the Liberals to follow the Trump administration’s lead by cutting corporate taxes and slashing environmental and public health regulations. 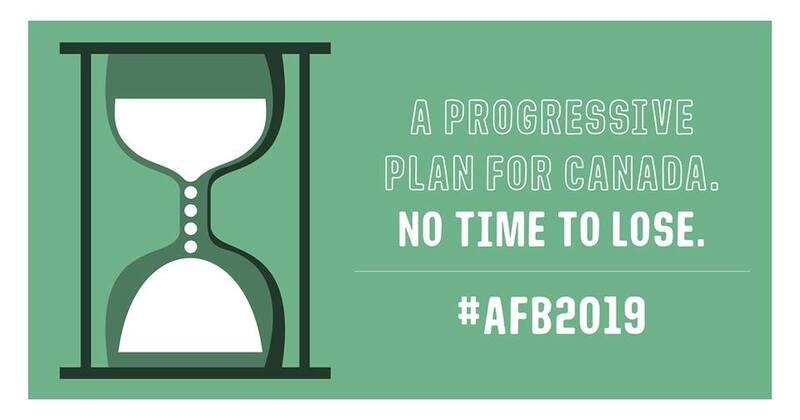 The AFB charts a different course, one that will boost our economy by investing in people. It’s a fully-costed plan that doesn’t go down the destructive path of cutting taxes and the public services they fund. The budget, released by the Canadian Centre for Policy Alternatives, shows Canada can afford to eliminate tuition fees and introduce new social programs including a national pharmacare plan and universal child care. create a public infrastructure bank to replace the privatization-driven Canada Infrastructure Bank. These progressive measures will lift nearly a million people out of poverty, reducing seniors’ poverty rates by 40 per cent, while creating more than 500,000 good jobs and lowering unemployment to five per cent. CUPE is among the many unions, progressive groups and researchers that contribute to the AFB.